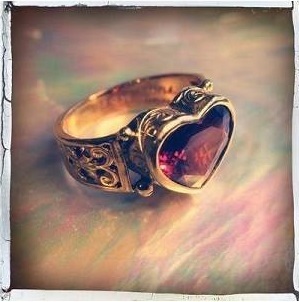 Jewelry Trends For Lovers – Heart-shaped jewelry is a classic, of course, but some people prefer to be different. Valentine’s Day is an occasion when many like to find something truly unique since, after all, your connection with your loved one is unique. Consider, perhaps, a variation on the theme. A piece of jewelry whose design is suggestive of a heart, but with artistically stunning attributes, can be a good alternative. The February birthstone takes center stage from January 22 to February 21. Amethyst is a purple variety of quartz. As with other gems in the quartz family, it has a long history of association with wisdom and spirituality. 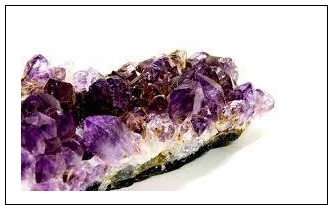 If this happens to be your birthstone, you may find it interesting that, traditionally, purple is the color of royalty. This gem has adorned the headdress and garments of great rulers and monarchs for countless centuries. Variations – Tanzanite, amethyst, emerald, garnet, topaz, aquamarine, silver and gold. Birthstones like kisses, because mom is your true love. 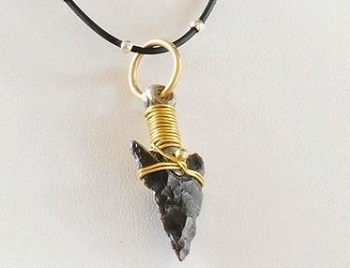 From The Archives – Ancient arrowhead from Morocco, with gold and silver. Fashioned by hand, centuries ago. Designed to puncture the swift prey that would feed body and soul, with respect to nature always, and with gratitude. Not merely a weapon, but testament to a way of life. Found objects can make the most powerful adornments. 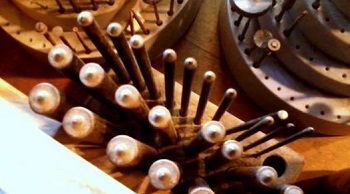 There is beauty and peace in the tools gathered on the workbench, awaiting the call of duty. Perhaps there is already the essence of creative inspiration in them.